It might all be depressing and grim on the UK high street at the moment given the deaths of Blockbuster, HMV and Jessops, but according to recent research, online sales continue to soar thanks to the popularity of mobile and tablet devices. According to stats from IMG Capgemini e-Retail Sales Index, online retail sales exceeded expectations in December, with a month-on-month growth on November of 12% and a year on year growth of 17.5%. The data also shows that consumers spent an estimated £78bn at online retail stores in 2012 and IMRG/Capgemini is forecasting that the online retail market will grow by a further 12% in 2013, with consumers spending around £87bn online. Sales through mobile devices – including tablets – were stronger than ever, with over 300% growth from 2011 and 2012. As mobile devices proved popular as gift choices this Christmas, it seems likely this growth will be continued throughout 2013 as well. 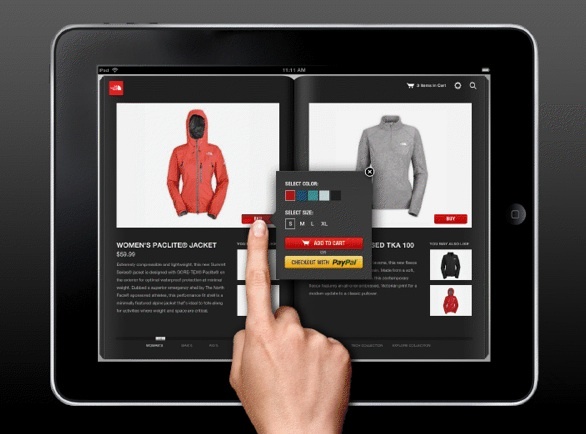 “The big stand out is mobile commerce and its growth in the last 12 months has been staggering. The developments in the technology and the steps taken by retailers to improve their mobile services have seen a shift from browsing, to a fully fledged commerce site integral to our shopping experience.